The Walking Dead Season 6 spoilers reveal details about a major character death and fall of Alexandria – we fear this relates to introduction of evil Negan! The Walking Dead Season 5 is barely cold in the ground, but TWD Season 6 is gearing up to be one of the most highly anticipated of the series. 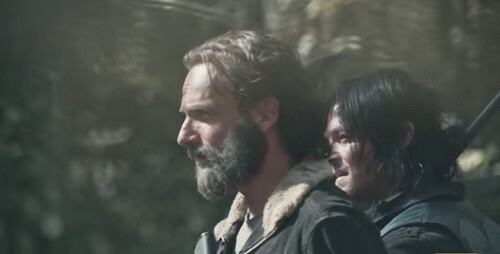 Major plot spoilers and theories for the upcoming TWD season may be the reason as producers tease Alexandria’s fall, Negan’s rise, and a possible major character death. That quite possibly means the TV show will follow The Walking Dead graphic novels and an attack on Alexandria will bring the zombies to the Safe Zone like Kelis’ milkshake brings all the boys to the yard. In the books, the walker invasion is a critical hit to the survivor town, but will the town fall? It’s not clear the TV show will keep true with the comic’s story that has Alexandria being rebuilt, but it’s a strong possibility if Negan is due to make his appearance. Hurd also commented on the popular villain confessing, “The thing is, as you know, we are always inspired by the comic book. There are times where we bring an existing panel in the comic book to life exactly.” The word “exactly” is crucial in her statement. If Negan makes Season 6 of The Walking Dead – exactly – like the comic book…that means a major character death is coming. Negan and The Saviors, his band of survivors that are as ruthless as Negan himself, will be a huge plot for the show. It will make the Governor and his cronies look like Care Bears. Armed with a bat wrapped in barbed wire he lovingly calls “Lucille,” Negan kills Glenn, leaving Maggie a widow. The arc in the novel is actually longer and father ahead in the pacing of the TV show versus the book. Will Negan show up in season 6 of The Walking Dead? It sounds like it’s a strong possibility! Fans will have to wait until October 2015 for the return of The Walking Dead Season 6 to see if Rick and his group preparing to fight a war with Negan and his Saviors. Come back to CDL for more The Walking Dead Season 6 spoilers, news and rumors! ‘The Walking Dead’ Season 5 Finale Spoilers: Daryl Dixon Dies in Final Episode, Why Norman Reedus Sells Georgia Home?